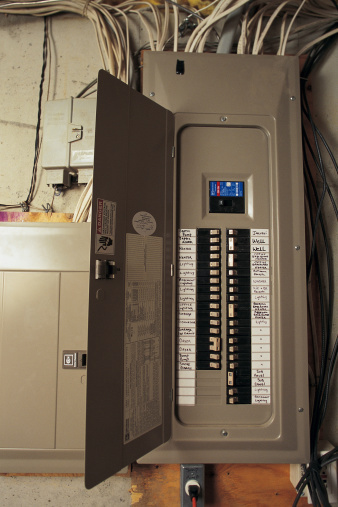 The purpose of a circuit breaker is to prevent too much electricity from coming into your home. Overloading a circuit breaker trips the breaker off automatically. The purpose of a circuit breaker makes it vitally important to use the right amperage breaker for the right sized wire. Tripping a circuit breaker implies that there is a problem with the flow of electricity in the house. At times it is necessary to shut the electricity off before it enters the breaker box. The fact that a breaker has tripped does not necessarily mean that you need to replace the breaker. Sometimes the problem is in the lines leading into the house. 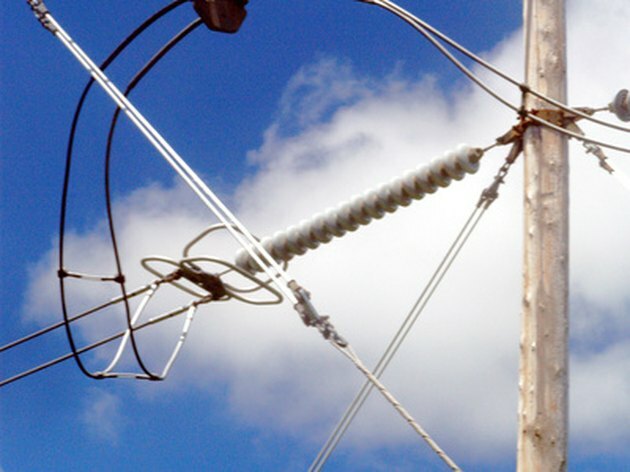 Electricity running from a pole incorrectly can cause a fire in your home. Locate the main circuit breaker in the house. This may or may not be near the breaker box. In older houses there often is a lever housed in a red box that shuts the electricity off in the house before it reaches the breaker box. Push the lever down to shut off the outside power source. Find the electric meter on the outside of the house. With the help of an experienced electrician you can stop the power from coming into the house by unscrewing the glass dial measuring the kilowatts of electricity you use in your home. Underneath the dial there is a switch that an experienced electrician can turn off with a screwdriver or wrench, depending on the connection. Test the breakers individually with a circuit testing device. If the electricity is completely off, the ohms needle on the testing device will not move when it touches the wires on the breaker. With an experienced electrician, remove the glass dial of the outside reading meter from step 2 and turn off the power source. Disconnect the line going to the main panel by removing the screws attaching the line to the main panel.